This beautiful turtle magnifying glass pendant is on a 30 inch chain with a 2.5 inch extender. 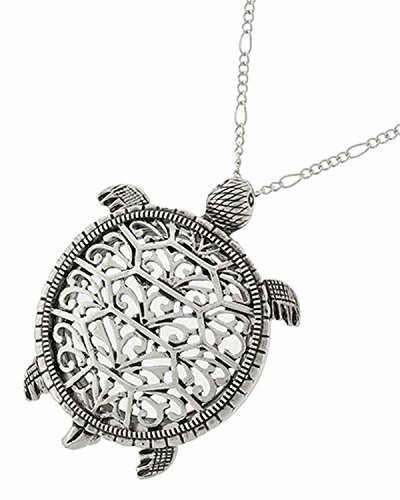 The turtle pendant top will slide to the side to allow you to use the magnifier portion unobstructed perfect for reading small print on the go! Makes for a lovely gift. Comes in gift box with non-tarnish white cotton - ready to gift!